Much has been written about making lifetime gifts to use some or all of the $5 million federal gift tax exemption. This exemption has indexed up to $5.43 million in 2015 based on the permanent estate and gift tax rules of the American Taxpayer Relief Act of 2012. Some estate owners have already made lifetime exemption gifts of cash, rental real estate, securities portfolios, and shares of limited liability corporations or S corporations to remove future asset appreciation from their taxable estates. How life insurance can solve estate planning challenges in a low interest rate environment. premium for a limited-pay no-lapse survivorship universal life (SUL) policy owned by that same irrevocable trust. It’s this leveraged arbitrage of a short-term private loan plan that could cause your “wait and see” clients to take action now. Let’s look at a simple fact pattern where $5.43 million is loaned (not gifted) from the estate owners to their irrevocable trust at the current short-term AFR rate. Mr. and Mrs. Citizen are each 60 years old and are rated preferred nonsmoking for underwriting purposes. They have a sizable estate and have the ability to make large gifts up to $5.43 million should they decide to do so. Fully informed that all future appreciation above date of gift value will be removed from their taxable estate, Mr. and Mrs. Citizen nevertheless have decided to “wait and see” what happens with the 2016 election and how the result might affect any tax law changes in the future. They ask you for any ideas that might cause them to take action now rather than wait. 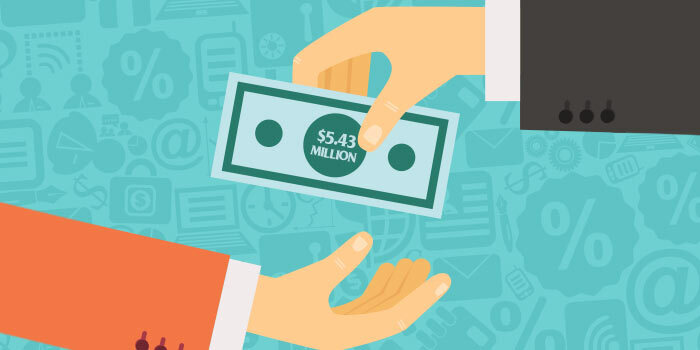 The clients loan $5.43 million to a newly created grantor irrevocable trust. They execute a short-term loan agreement between themselves and the trust with an interest-bearing note at only 0.40 percent interest for three years. Their law firm drafts the “private loan” agreement and note payable. The trustee invests the $5.43 million in a portfolio of financial assets that are expected to produce a nonguaranteed hypothetical rate of return of 4.40 percent ($5,430,000 x 4.40 percent = $238,920). Interest, dividends and capital gains on the trust portfolio are taxed to the grantors personally because the trust is a grantor trust for income tax purposes during their lifetime. The trustee pays the annual interest on the note ($5,430,000 x 0.40 percent = $21,720) back to the grantors each year. The trustee allocates the “arbitrage” amount ($5,430,000 x 4 percent = $217,200) to an annual premium for a three-pay no-lapse SUL policy owned by the trust. At the end of the three-year term in 2018, the trustee plans to repay the loan principal of $5.43 million back to the grantor. As an alternative, in 2018 the grantor could “forgive” the repayment of the note. This loan forgiveness would be treated as a completed gift of $5.43 million at that time. As another flexible alternative, in 2018, part of the loan principal could be paid back to the grantor and the grantor could forgive the rest of the loan principal as a completed gift. Remember, the actual nonguaranteed rate of return on the loaned assets could be either greater or less than 4.40 percent over the three-year term. The actual performance of the portfolio principal at the end of the three-year term may determine the mix of how much loan principal is paid back to the grantor and how much is forgiven as a gift by the grantor. The only risk of this private loan arbitrage plan is the investment performance over the three-year period from 2015 to 2018. Your clients should consult with their investment professional to determine the mix of financial assets that could potentially achieve the desired 4.40 percent or greater target rate of return. What have we accomplished by this short-term three-year private loan plan between the estate owners and their irrevocable trust? Using the net “arbitrage” between the assumed rate of return (4.40 percent) and the low AFR interest rate (0.40 percent), the trustee places this assumed net “arbitrage” of $217,200 (4 percent) into a three-pay no-lapse SUL policy from a competitive carrier with a face amount of $3.7 million. This death benefit is free from income and estate taxes. At joint life expectancy (assume age 90), the internal rate of return (IRR) on the competitive no-lapse three-pay SUL policy is 5.96 percent. Assuming a 30 percent average income tax bracket, the pretax equivalent IRR is 8.51 percent. This pretax equivalent IRR is well in excess of what other nonleveraged fixed financial assets are currently yielding in this historically low interest rate environment. The estate owners have preserved their full lifetime gift exemption for future gifts in 2018 and beyond. This allows them the flexibility to “wait and see” how the 2016 election will affect estate, gift and income tax planning in the future. In the meantime, while waiting to see what will happen, they have created an additional $3.7 million death benefit for their heirs – free of income and estate taxes. This was accomplished with no additional premium outlay for the rest of the estate owners’ lives. Russell E. Towers, JD, CLU, ChFC, is vice president, business and estate planning, of Brokers’ Service Marketing Group. Contact him at [email protected] [email protected].